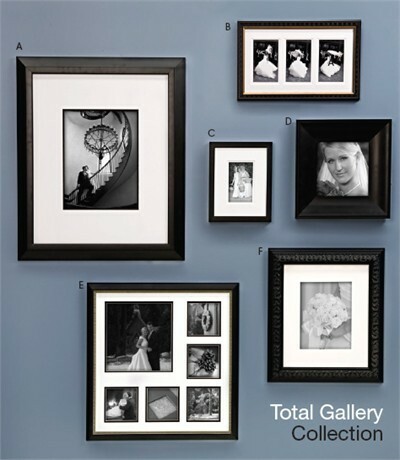 Classic lines are reflected in black frames with white mats. Perfect for every occasion. With respect to the professional business, our pricing structure and other information is reserved for those who have established an account with us. If you have an account, please log in. Professionals can register for an account free of charge. Just click the Register link in the upper right corner of your screen. Instructions for use: We recommend using Mozilla Firefox browser for full compatibility (both PC and MAC). Follow steps 1,2,3 & 4 to the right to design your frame. Use the purple set of functions under the frame to: zoom, rotate, center, view full screen and to save your beautiful creation as a JPEG. Step 4: Image upload - viewing & print assembly: Even if you are not uploading an image for printing, the image must fall into the following guidelines. Uploaded images need to be at least 300dpi and around 700kb minimum file size and max 10-12MB. If you image is larger than 10-12MB reduce the compression when saving as a jpg to get the file size under 10-12MB, do not reduce the dpi. Our lab uses sRGB as the default colorspace. If you are using anything other than sRGB, please let us know in the special instructions on your order. To see your image in the frame, you must first be logged into your account. You can not upload an image for viewing in the frame without first being registered and logged in. Once you have uploaded an image, a second tool bar above the viewer will allow you to make changes to your image. If you are rotating, rotate the frame first, then the photograph. Once you add the item to your shopping cart, the image will automatically rotate to best fit the space at the side of the screen. This does not affect your uploaded image or have any bearing on how your finished piece will hang. All prices include domestic ground shipping. Additional shipping fees may be applied to orders shipping to Hawaii, Alaska, and Canada. Customer service will contact you to disclose the additional shipping cost. Mix, match and save! Purchase any 6 or 10 frames and receive the low lot price. By uploading your image you are able to view how the image will look in your selected frame. Want the image printed and frame fully assembled for you ready to hang? The image must be print ready. For best quality, the image size (in pixels) should be larger than the number of inches multiplied by 300. That is, for an image that will be printed in 5" x 10", it should be at least 1500 x 3000 pixels in size. For sizes larger than 16", you may multiply by 150 instead. Choose size: Select from the pre-set sizes and configurations. For custom cuts please select the next size up and add product to Shopping Cart. Enter the exact size you in need in special instructions. Choose mat: Select from the pre-set mat color combinations to complement your image and frame. All 8-ply and double mat color combinations are priced exactly the same so select what looks the best. Note: You can choose any color over any color at no additional charge. If you are unable to find the combination you desire, add products to cart and write in special instructions the colors you prefer. All GNP Frame products that come with any type of mat automatically come with foam core backing as well as glass (max 20x24 frame size)or clear acrylic at no additional charge. All GNP frames include the wire hanging kit and/or saw tooth hanger (unless easel back is selected) at no additional charge. Form Core Backing: GNP Frame uses 3/16" framing foam core. If you need metal flex points in your frame to help you with print placement, you need to add foam core backing to your frame only order. Easel Back: A high quality easel back that fits in the opening of the frame. Comes with a ribboned leg for 5x7, 8x10 & 5x10 print sizes only, up to a 3" moulding. Glass: standard framing glass (max 20x24 frame size) without any special finishes. Clear Acrylic: translucent and optically pure. No UV protection. Non-Glare Acrylic: matte finish on one side to reduce the glare from light. Approx 10-15% UV protection. Museum Glass: anti-reflection picture framing glass with Conservation Grade UV Protection. Along with its nearly invisible finish, it effectively blocks up to 99% of harmful indoor and outdoor UV light rays so framed pieces remain clearer and brighter for longer. Museum glass is only available up to 20x24 max. None: We will not print the uploaded image. Print Assembly: (GNP Frame's Full Service Framing option) We will print your previously cropped and sized uploaded file. Images need to be 300dpi, min 700kb, 8MB - 10MB max. All prints are printed via our partner whcc.com. Your product will be received with your beautiful image(s) mounted and framed completely finished with paper backing and attached wire hanging kit. Product will be ready to hang right from the box! Prints to Come: This option allows you to send us any image you may already have printed or you can drop ship your prints from any lab in the country and we will completely frame and finish the product and ship to the desired address. Note: All print-assembly orders & print to come orders that require glazing will be finished with clear acrylic.